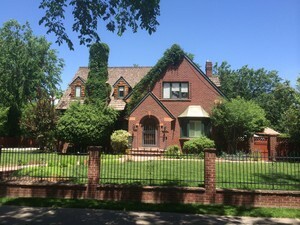 Diverse and unique are excellent words to describe the Park Hill neighborhood. This residential community, first founded in 1887 by Allois Guillame Eugene Von Winckler has a unique architecture, lifestyle and residents. Homes in the neighborhood feature a variety of distinct architectural styles. Cape Cod style homes are likely to be found mixed in with attractive four squares and charming bungalows. Residents of this neighborhood are as diverse as the homes they live in. Community members old and new are welcomed with open arms. Park Hill residents are known for their pride in the community and for coming together cooperatively within the community. Park Hill is conveniently located in northwestern Denver, CO just east of City Park between 16th ave, MLK, Colorado and Monaco. City Park is an 330 acre urban park that is home to City Park golf course, the Denver Zoo, the Denver Museum of Nature and Science and is host to the City Park Jazz series during the summer months, so entertainment is never very far from home. Commuters can take advantage of convenient bus lines and bike routes and the tree lined paths are perfect for runners and bikers. Why not make your home in Park Hill today?